Imagine viewing wildlife in the savannah grasses from the sky! 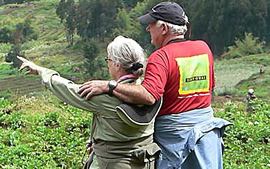 it’s an incredible incredible experience each traveler should do on his/her Uganda safari. Done in the open savannahs of Murchison falls national park, hot air balloon safari reward travelers with an ariel views of wildlife, Rwenzori mountains and local communities adjacent to the park. 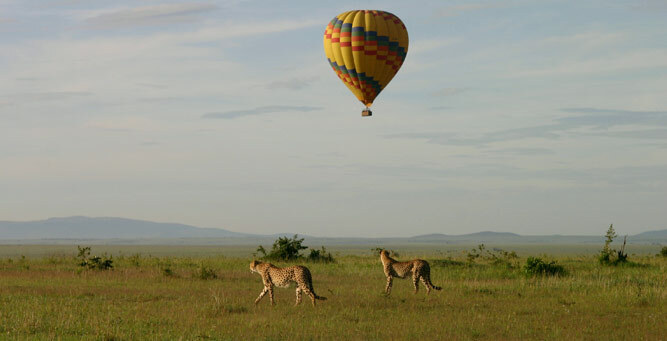 Hot air balloon was introduced as a supplement of game drives but done from the sky. Each person intending to take part in a hot air balloon safari pays 380usd. This money paid includes the certificate for flying in a hot balloon and bush breakfast taken after landing. The entire safari begins at as early as 5:30am as travelers transfer from the lodges to kasenyi gate in queen Elizabeth national park and Paara gate in Murchison falls national for a simple briefing. The specific site selected to start from is determined by the wind flows and weather conditions at that specific time. At that same time, the balloon is inflated with cold air after which you will be called to enter. At around 6:30, the pilot will enter and further inflate the balloon with hot air before taking off. After the balloon has been inflated with hot air, it will start to rise u slowly until it reaches the average height for travelers to clearly view wildlife. The safari lasts for an hour exclusive of the time spent driving to the starting point and the time for briefing. More still, the experience depends on the weather. A dry weather is good for a hot air balloon safari. 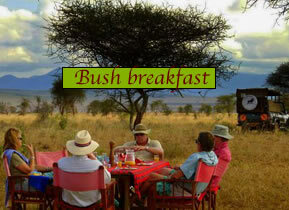 After an hour, the pilot lands the balloon down and travelers go for a bush breakfast. Yes, children aged 6 years and below arte not allowed to take part in the hos air balloon safari experience. Interestingly however, children aged 12 years and below are given a 50% discount of the total cost. Yes, if the traveler fails to make, the company refunds half of the money. Similarly, travelers who fail to do a hot air balloon safari due to bad weather are given another chance if they have more time in the national park.